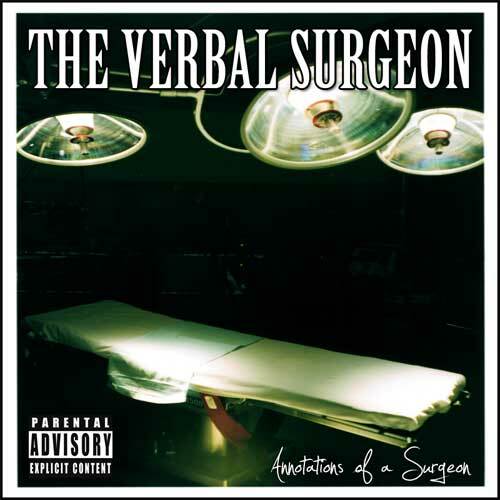 Mass Hip Hop: MIxtape: The Verbal Surgeon "Annotations of a Surgeon"
MIxtape: The Verbal Surgeon "Annotations of a Surgeon"
The Verbal Surgeon out of Springfield hit me with this last week and it is a flawless display of talent. His rapid flow over street-soulful beats is the perfect contrast of sound. The 26 tracks plays nicely from front to back with a consistent style. Instant classic in my opinion. Stay updated by following The Verbal Surgeon on Twitter and Facebook. Download Annotations of a Surgeon from MediaFire.